Raw, freshly minced garlic has the most health benefits. If you cannot stand the smell and must cook it, you need at least four and a half cloves to get the same effect. Although garlic is sometimes called “the stinking rose,” it can actually cure your rose plants from aphid attacks. Simply mix crushed garlic with water and spritz the leaves and flowers with the spray. The flavor of garlic is most intense just after it has been minced. Garlic applied on wounds can heal them faster. During World War I, this healing quality of garlic was harnessed intensively by British soldiers. 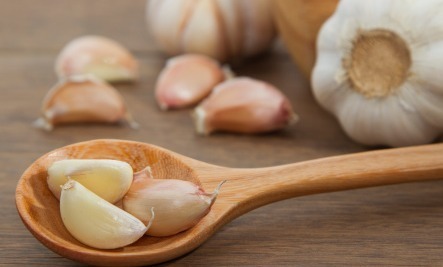 A crushed clove of raw garlic, gently rubbed on skin, can zap a pesky pimple. The secret: a powerful compound called allicin, which makes garlic among the most antioxidant-rich foods on earth. Sprouted garlic loses some of its health benefits, but can still be used. A Pennsylvania University research found that a compound called Diallyl disulfide in garlic could shrink bowel cancer cells. An important Washington State University study has conclusively proved that this compound is 100 times more effective than other antibiotics in easing bacteria-borne digestive ailments. What’s the ideal dosage of garlic for you to derive all its amazing health benefits? The University of Maryland Medical Center, recommends daily 2 to 4 g of fresh, minced garlic clove; 600 to 1,200 mg daily if using aged garlic extract; two 200 mg tablets three times a day if using freeze-dried garlic; 4 ml daily of fluid garlic extract; 20 mL daily of garlic tincture or 0.03 to 0.12 ml three times daily if using garlic oil. Not all is good about garlic and it is certainly not for everyone. 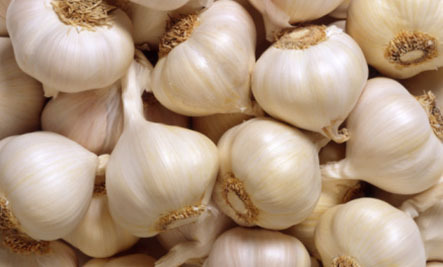 Those on blood-thinning medication must not take garlic, because it inhibits the clotting of blood. For the same reason, garlic should not be taken before a surgery. Add the zucchini, ½ teaspoon salt, and ¼ teaspoon pepper and cook until just tender, 4 to 5 minutes. Add the zucchini mixture and ¼ cup of the Parmesan to the ravioli and toss gently to combine. Serve with the remaining ¼ cup of Parmesan.